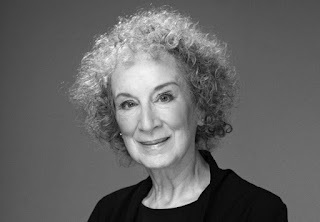 I begin with the quote from Margaret Atwood because I want you to trace the emotion that underlies it. It is a theological emotion, a spiritual fear, it is disappointment, and in its context, one recognises it as a recurrent, persistent, and despairing force. Give up on ever meeting an author because you like his work. Art and reality don’t connect. The sequence Paul follows is a kind of layering that is progressively removed: suffering produces endurance; endurance produces character; character produces hope; and hope does not disappoint us because the Holy Spirit gives us the love of God. It is John who reminds us that fear is removed by love. And yet, and yet … our minds keep running on the usual and familiar circuits. We question. We rationalise. Why do we cling to hope and faith – is this just a grand illusion? Is Richard Dawkins right? We are, after all, familiar with disappointment in its various forms. Surely it is part of life. There are courses on how to manage it; there are drugs and medications to take the edge off it. Are we aware of the love of God in our hearts? If we answer frankly, well think carefully … is there a desire for that love; a trace of compassion or empathy; are there moments of generosity and grace? What is it in us that make us willing to risk disappointment? Are we prepared to acknowledge the possibility of God active within us, unbidden, subtle, mysterious and ever surprising? These are questions we need to hold onto … and as we do I have in the back of my mind one of the poems by that great Dean of St Pauls, John Donne. His faith and hope, risking disappointment, if you like, kept company with his questions. At the end, he clings to Christ.